At current exchange rates US$ 500 is a bit more than MYR 2,000. The Malaysian Ringit has collapsed over the last 3 years. The exchange rate used to be US$1 < 3 MYR (about 3 years ago). Now it is $1 > 4 MYR (and the MYR recently has gained back a bit of the lost ground – it reached a high of almost 4.5 MYR for $1. View of the pool at Sky Executive Suites. In addition to that factor, the oversupply of higher end condo units has great increased – as we predicted. It was easy to predict given the massive supply that was being built. This has resulted in great bargins for renters. These are some options available now online. Don’t be affraid to bargain, the market is very much in the favor of renters at this time. Molek Pine 2 (link to our information page on Molek Pine); 1,800 MYR/month (link to online rental ad); 1,100 square feet; 3 bedrooms; 3 bathrooms; fully furnished. Horizon Residence; 2,000 MYR; 1,600 square feet; 3 bedrooms; 2 bathrooms; fully furnished. Sky Executive Suites; 1,600 MYR; 750 square feet; 1+1 bedrooms; 2 bathrooms; partly furnished. For sale at 600,000 MYR. The Seed; 2,000 MYR; 1,390 square feet; 3 bedrooms; 3 bathrooms; partly furnished. 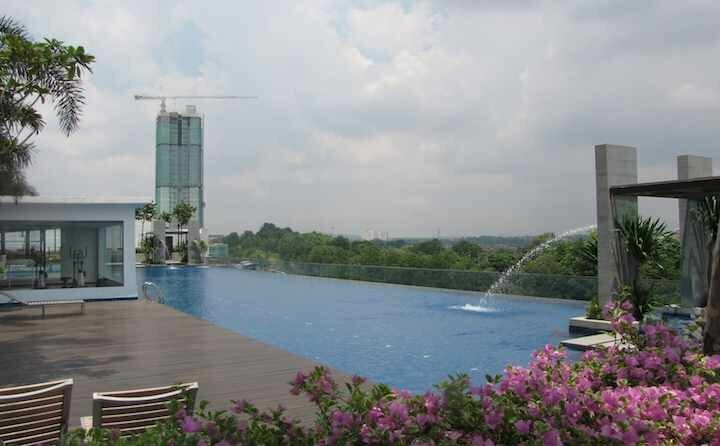 Sky suites @ Meldrum Hills; 2,000 MYR; 861 square feet; 2 bedrooms; 2 bathrooms; partly furnished. Casa Tebrau @ Seri Palma; 1,850 MYR; 1,928 square feet; 4 bedrooms; 2 bathrooms; fully furnished. Sky Oasis Residence; 1,500 MYR; 913 square feet; 2+1 bedrooms; 2 bathrooms; partly furnished. This list provides a view of how much is available at the under $500 a month market. And there are many other options as well as many available for not much more that could be bargined down to something similar. It is a renters market in Johor Bahru. The newest condos have plenty of very small units (under 800 square feet). But as you can see you can get much larger units if you wish for good prices. And you can find many options for rental condos between 2,000 MYR/month and 3,500/month (especially when you realize how much you can bargain down rates. Some units won’t negotiate the rates (and those that have set more reasonable rates have less room to negotiate). If you find something you like that is a bargain for you, be happy with finding a good home.